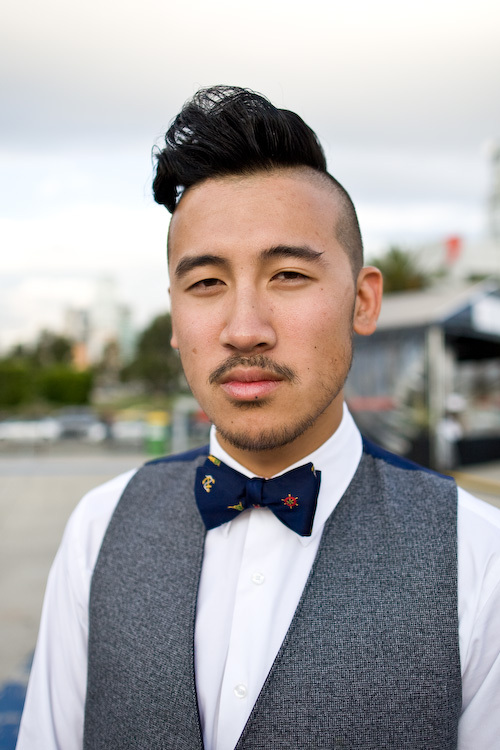 You are currently browsing the tag archive for the ‘navy bow tie’ tag. Do you see a pattern here? I’m intrigued about this hair style, I’m not too sure how I feel about it, whether I like it or not, though these young men are rocking it! One thing is for sure, the top mop definitely caught my eye. Describe your style: European gentlemen style inspired. Favourite clothing stores: Claude Maus, Alphaville.